Time to celebrate the sunshine! This month we’re combining our passion for seasonal produce with our love of Cocktails! 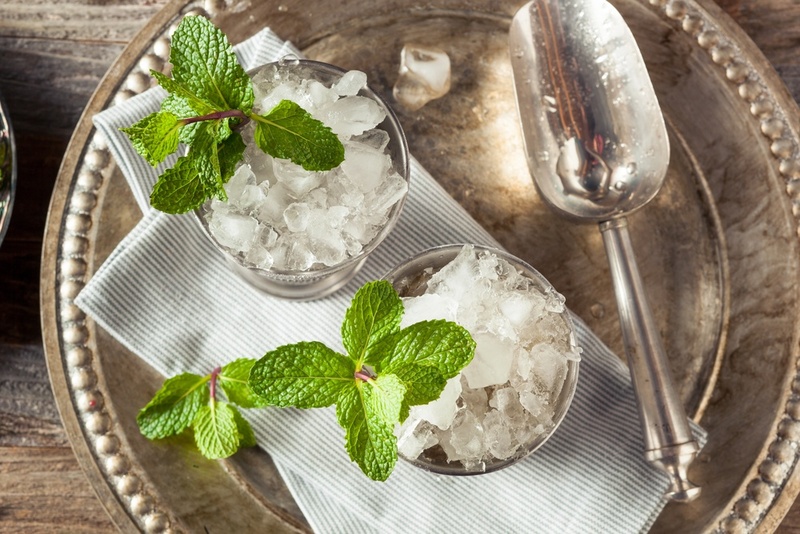 For us June is all about the deliciously tart Gooseberry and this Julep recipe is perfection personified! Gin seems to have become a national obsession over the last few years so of course we’ve made our own Gooseberry Gin for this cocktail – a nice summery alternative to the classic sloe gin. Place the frozen berries in a large sterilised preserving jar and leave to defrost. Once defrosted, add the sugar and gin to the jar. Seal the jar and give it a vigorous shake to make sure its thoroughly mixed. Shake the jar once a day until all the sugar crystals have dissolved. Leave somewhere cool for 8 weeks to blend. Strain the gooseberries and transfer to a bottle, ready for drinking! Pour your gooseberry gin over the ice and stir thoroughly.